Cities Connection Project | HUNZIKER AREAL HOUSE I. ZURICH-OERLIKON. HUNZIKER AREAL HOUSE I. ZURICH-OERLIKON. 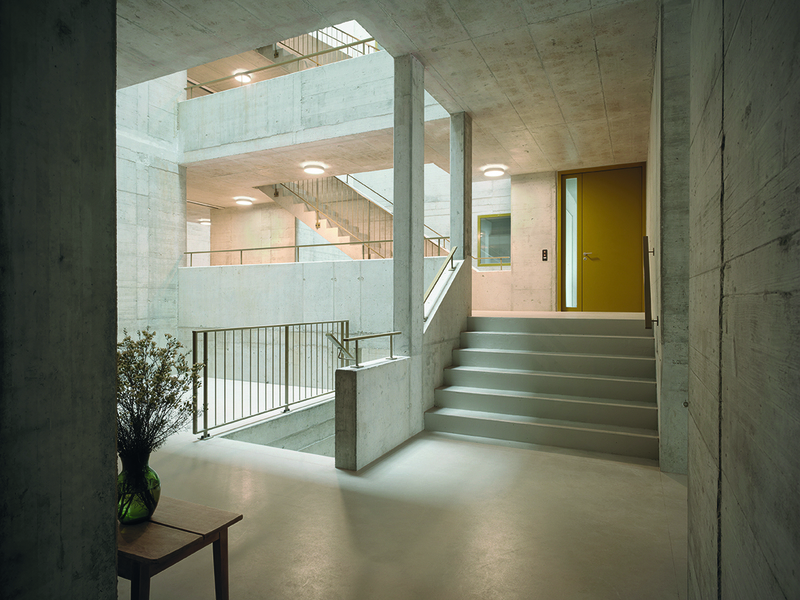 Haus I is situated on the Hunziker complex in Zurich-Leutschenbach as one of a total of 13 buildings which are surrounded by various green areas and open spaces. The urban setting was designed as a complex entity with built structure and public spaces acting as direct counterparts. 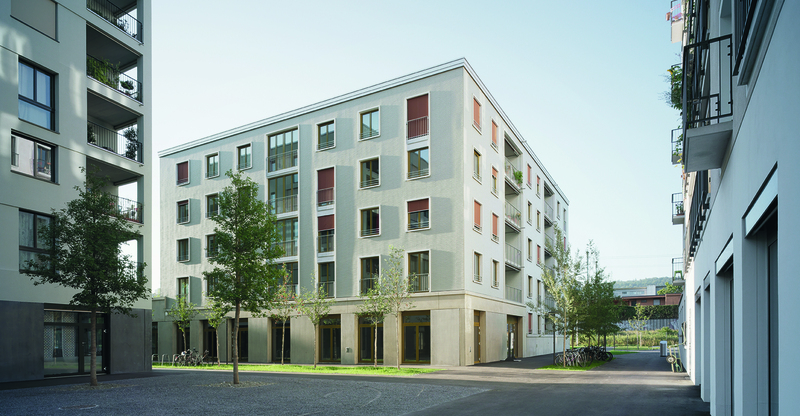 The progressive urban development and ecological project created by the cooperative building association “More Than Living” (Baugenossenschaft mehr als wohnen) promotes contemporary and sustainable forms of living and working. The urban setting determines the volumes, form of expression, structure and use of the buildings. 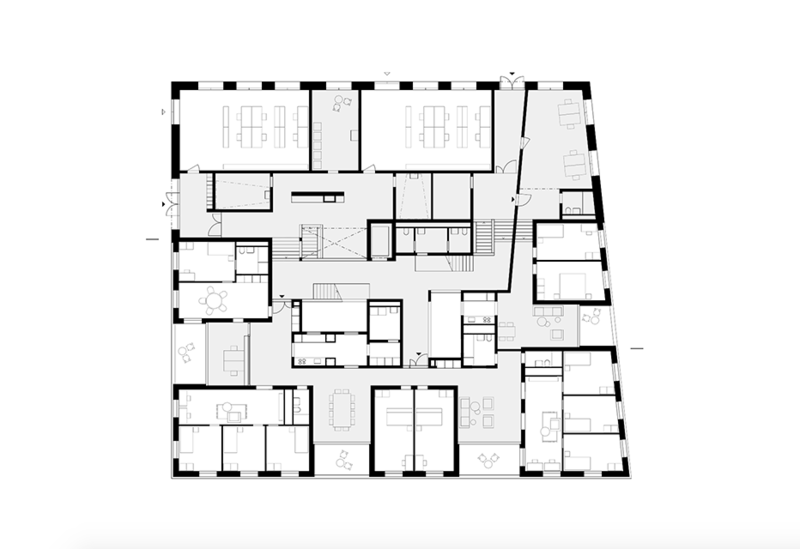 In Haus I, the residential category of a family apartment is implemented in a variety of ways. Apartments of different sizes and for different phases of life can be created. Cluster apartments for various shared residential groupings provide a bridge to classical two or three bedroom apartment types. They are supplemented by studios and rooms which can be temporarily rented as additional space. The structure of Haus I is conceptually related to the urban development concept. Starting with the cluster offering the smallest private units, designed as individually configurable spaces and small areas for privacy. The load-bearing external walls of each cluster enable the interior space to be freely sub-divided into two to three bedrooms with or without a small kitchen and wet room. Between them are rooms with a more public character which offer space for communal living. The interior rooms are characterised by the largely bare-faced load-bearing structure. Whereas the mineral surfaces in the communal areas underline the urban character, the visible solid wood wall surfaces of the clusters underline the introverted character of these areas and the individual atmosphere of the more private rooms. This creates a flexible system of private units and communal areas which can be combined to form a variety of apartment sizes and can be adapted within the renewal process of the buildings life cycle.